Craig Sharpe, Executive Director of Montana Wildlife Federation wrote the following article. 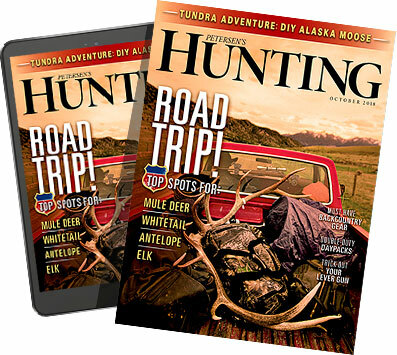 It profiles the organization's "Triple 8 Youth" program which is designed to give youth hunters a good chance at success when they complete their Hunter Safety Education Program. As we look to the future of hunting, fishing and conservation programs like this give us a model to slow attrition. In the fall of 2009 MWF submitted a proposal to the owner of a 3,200 acre ranch for a limited youth elk hunt. The hunt, after two years of success has resulted in a new template that MWF believes could be used as a new model, a new paradigm in managing game animal populations'. The project is a blend of elements and opportunities providing elk population management assistance, youth hunting opportunities, furtherance of hunter ethics and responsible actions learned in hunter education and youth wildlife/conservation education. Located within 30 miles of Helena, the Triple 8 Ranch offers the perfect location. The ranch seasonally supports a sizeable population of elk. The owner has very strong conservation values, understands wildlife management and how good animal distribution helps keep wildlife wild and healthy; he does not want his ranch to be a cafeteria. For more than 15 years the landowner has been restoring the landscape which has resulted in healthy habitats for a long and diverse list of wildlife — including large numbers of elk. The Triple 8 youth elk hunting project began by offering 9 youth the opportunity to hunt on the ranch in 2009 and then 24 first time youth hunters in 2010. Before the project was approved by the landowner MWF engaged with the FWP regional biologist, FWP law enforcement, ranch staff and a member of the state hunter education program. As responsible, conservation minded hunters — MWF wanted to offer the landowner a well designed project with details and conditions that would be respectful of the wildlife, respectful of the land, good for the youth and promote ethical, responsible behavior, conservation and wildlife education, and that would help manage the elk. The working motto of the project became "To further and foster ethical, responsible and respectful hunting, assist with the management of area elk and nurture a youth connection with Montana's great outdoors and wildlife." Studies evaluating social values suggest that youth involved in hunting and outdoor activities are less likely to engage in vandalism and other criminal activities and that they have a greater understanding of conservation values. Kids grow up with a better understanding of conservation through a direct connection with nature and wildlife and wildplaces making them aware of the value of stewardship. Nature play has also been correlated with a longer attention span and other studies show that is an antidote to child obesity. How did this project differ from other youth hunts and how did it ensure that this was more than just an opportunity to fill the freezer or thin out a herd ? Youth would be first time hunters (11-15 years of age) selected by a random, equitable, democratic drawing of area hunter education students who had passed the state program. All hunting would be conducted and correspond with State Hunting Regulations (age of students and no gender of elk restrictions other than what was defined by FWP regulations). Students and the accompanying un-armed adult had to agree to the adherence of a Code of Ethics, Conditions of the Hunt and Ranch Rules, Sign a Liability Waiver, and two — pre-season workshops, a mandatory Orientation Session and a Shooting Skills Clinic lead by FWP hunter education instructors'. MWF understands that youth in this age group have few field and/or shooting experiences so we provided on-property sighting in and shooting skills with full size elk targets. All hunting was down on foot — no use of ATV's but motorized travel was allowed on established roads after 12:00 (noon). MWF facilitate oversight through volunteers and incorporate the assistance of volunteers used for such things as animal retrieval. MWF or volunteers did not act as guides or outfitters in any capacity, all hunters hunted on their own in a 'fair chase' manner. MWF members and volunteers or local club volunteers offered assistance as experienced elk hunters or 'Hunt Masters' that helped minimize ranch staff responsibilities on property, i.e. checking hunters on and off the property daily, overseeing hunters activities on property, encouraging ethical behavior, etc. With the cooperation of the landowner and ranch staff over the two-years a total of 31 first time hunters took advantage of the opportunity. The adults and youth all commented that they had rewarding and intense experiences as they pursued groups of animals varying from a couple to as many as 100 in a herd; every student saw elk while not all harvested. A total of 14 youth harvested animals over the two years but more rewarding were the experiences. The youth learned hunting and outdoor skills from parents, family members and from volunteers, they learned about the habits of elk and the habitats that sustain wildlife, they learned about land stewardship and how to a be a responsible, ethical hunter while viewing a host of other wildlife: wolves, bears, deer, mountain lion foot prints, woodpeckers, coyotes, eagles and a long-list of other birds. The opportunity became a learning experience far beyond hunting and one that will stay with the adults and the youth — forever. 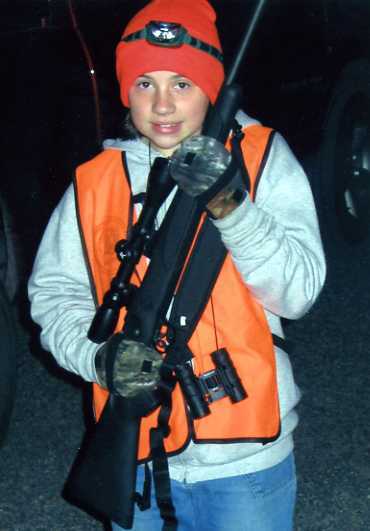 Participation rates in hunting are declining, the fastest rate is in the youngest age groups. Fostering youth hunters is crucial to the future of wildlife conservation in North America. A connection with nature and the outdoors is probably a far more critical component of their physical and emotional health than we realize. It is impossible to list all of the positive benefits of this project in the short space available. Supporting ethical, conservation minded hunting and believing that the youth of America are increasingly disconnected with wildlife and the outdoors, MWF cannot thank the landowner enough. MWF also extends its thanks to the FWP Hunter Safety Education Program and the helpful instructors, FWP Law Enforcement and FWP biologist Jenny Sika. A special thanks goes out to Patti Buckingham — Hunter Safety Admin Assist — for all of her help making the project possible, the many volunteers that sat in the barn and especially Mike Vashro. MWF extends its deepest appreciation to the ranch staff Kathy Finley and Angie Jacot. Art, thank you for your trust and vision and understanding that teaching the values of conservation and appreciation for wildlife today — is critical to our youth as they are our future leaders — educators, biologists, parents, philanthropist, hunters, anglers and the conservationist of tomorrow. There is a great need to provide them the best opportunities, the right paths and the most sound footing. Craig has strongly encouraged and promoted citizen participation in wildlife-habitat policy making through the legislature and in cooperation with wildlife agencies and landowners. He has been a consistent leader and role model in the improvement of landowner/sportsmen relations and has actively promoted this effort by participating in public service TV commercials. Craig is the editor of the MWF Newsletter and his feature articles are always factual and educational. His non-confrontational writing style adds considerably to their effectiveness. A key component of the MWF educational program has been his expansion of the MWF "Issues and Answers" papers, "Go Wild Program" which has educated newcomers, senior citizens, and families about the interrelationship between abundant game populations, adequate habitat and a clean and healthy environment, the Triple 8 youth elk hunting project, and his development of several high quality, colored educational brochures. He has been recognized for his educational efforts with MWF's Conservation Educator Award. Prior to this year, Craig has received 10 national awards for writing and film/TV productions and has won 5 International Film & TV awards. On three occasions he was selected Conservation Writer of the Year by the Outdoor Writers of America and he has film credits on NBC, ABC and CBS. He has served on a long list of councils some of those include been selected as a FWP Reg 3 Citizens Advisory Council member, a member of the Congressional Hunters and Anglers Caucus (Council), and a Congressional advisor on motion pictures. Craig has been with MWF since 1996 and acting as MWF Executive Director since 1999.